Virginia L. “Ginny” Keller, 74, North Webster, passed away at 6 p.m., Friday, May 11, 2018, at Kosciusko Community Hospital in Warsaw. She was born on Nov. 18, 1943, to Fred “Fritz” and Jean (Hopper) Siedlarz. 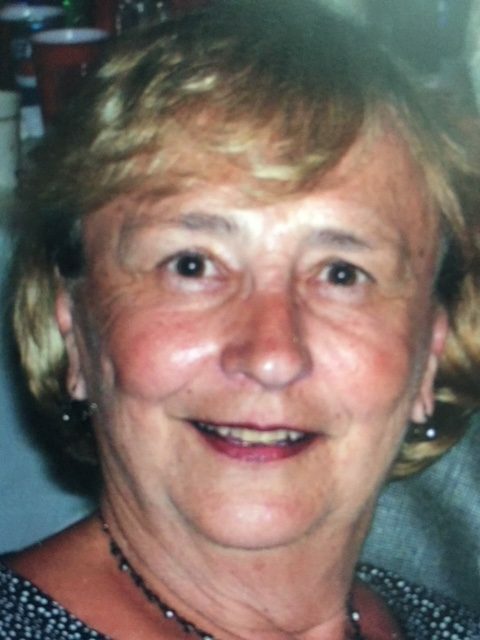 She graduated in 1963 from Mount Assisi in Lemont, Ill. and formerly worked at Corn Products in Argo, Ill. and Reynolds Metals in McCook, Ill. She moved to North Webster in 2004 from Illinois. She was very active member of the Eagles Lodge in Syracuse for 13 years where she served as chaplain and was a member of the American Legion Auxiliary in Lockport, Ill.
She is survived by her sister: Sandra (George) Dvorak, Leesburg; companion: Mike O’Brien, Lockport, Ill.; niece, Gina Rummel; nephew, Gregory Dvorak; two great nieces: Ryleigh and Page Dvorak. She was preceded by her parents; and a nephew, Eric Dvorak. Cremation will take place at Cremation Services of Kosciusko, 4356 N. SR 15, Warsaw. Memorial services to take place at a later date. Burial will take place in the St. Alphonsus Cemetery in Lemont, Ill. at a later date. Owen Family Funeral Home, SR 13 and CR 500N, North Websteris in charge of arrangements. Preferred memorials may be given to the donor’s choice. To send condolences to the family of Ginny Keller, please visit www.owenfamilyfuneralhome.com.